A nation with the highest diversity of cultures and languages, India stands out from the other countries in the world for the number of festivals it has in its calendar and the way each is celebrated. You’ll probably find something just like this in India only. As we know the enthusiasm and joy with which we celebrate the birth of Lord Krishna, similar to it is a birthday we celebrate with a full heart, yes we are talking about the birth of Jesus Christ, Christmas. It’s true that our way of celebration varies with the western side of the world but the way we do it, we do it well. Christmas is the season of colours and lights, of receiving and giving, of carols and cakes, angels and the red colour dressed, children favourite Santa Claus – and in India, we do it all – with a desi twist! From East to West, from the North to South, the whole nation sways together in festive spirit celebrating in their own way. So if you don’t know what you’re doing this year, don’t be confused. From City, sunny, or storybook? We’ve got your perfect Christmas escape! Read on! This comes as no surprise. 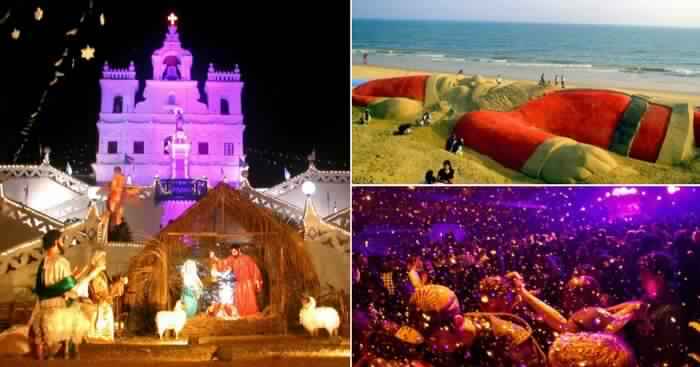 The party capital of India, Goa, shimmers at its best during the season of Christmas. You can see the Churches decorated with poinsettia flowers and vibrant lights while the masses sing the Christmas carols until the morning lights. You could go and attend the midnight carols, or if you prefer a more party-filled celebration, then head to Candolim, Anjuna and Mapusa making this festival a perfect blend of tradition and fun. Unleash the party beast inside you because you’ll come across with plenty of foreign tourists also just when you land your foot in Goa during Christmas. So, it’s obvious, your holidays gonna be bashing and amazingly memorable. A union territory with a strong colonial influence, Daman and Dui celebrate the birth of Jesus Christ with flavours of Portuguese. During this festival, Daman and Dui have a different set of charm. 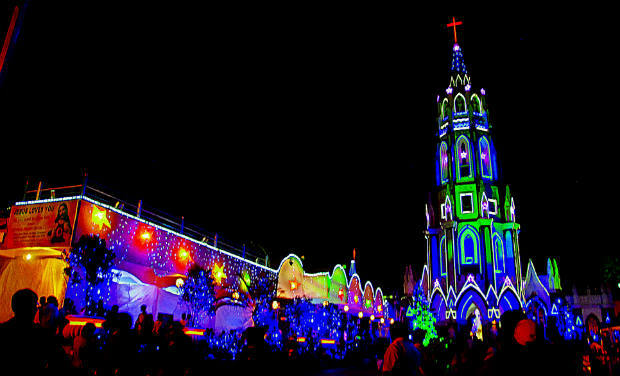 With the variations of cultural exhibits organised here, vibrant lamps brightening the night sky, enigmatic Corridinho Portuguese dance forms, and impeccable church service, altogether makes it one of best places in India to celebrate Christmas. 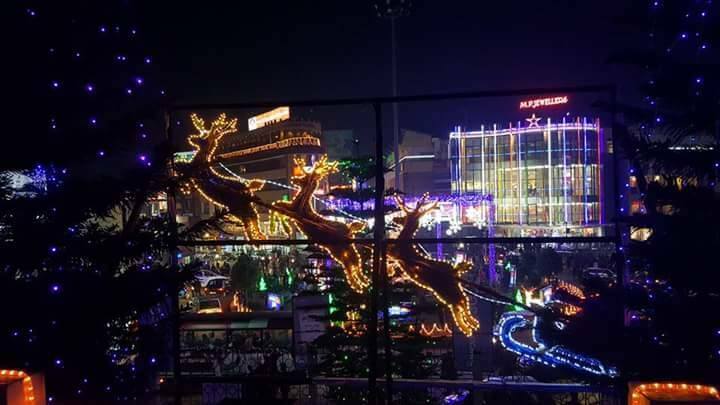 When it comes to Christmas in Kerala, it is way different than any other place around the nation. 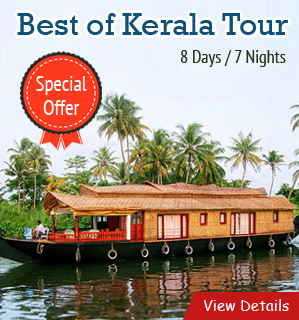 What could be better to celebrate the festival of Christmas than spending it among the serene backwaters, coconut trees and peaceful nature till infinity? As we all know Kerala has many churches, all are decorated with stars and lights. Well, that is not all; you see massive discounts on hotels for welcoming the travellers to be a part of this happy times. Moreover, the local touch embraces the festive spirit here with the Cochin Carnival, which goes on for ten days making your return to home a little painful! 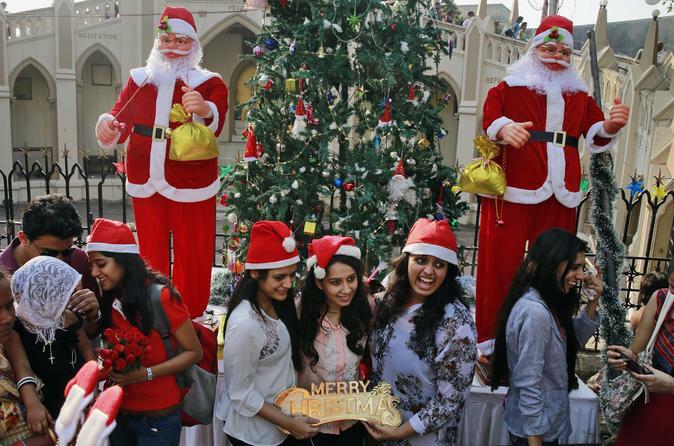 The city of dreams has embraced all the culture of India wholeheartedly, then why would Christmas fall out of it. If you to go to Mumbai to celebrate Christmas, do go to Church Gate, Hill Road and Bandra where it is celebrated with immense fervour and enthusiasm. Almost every church around the city organises a midnight carols by the masses. 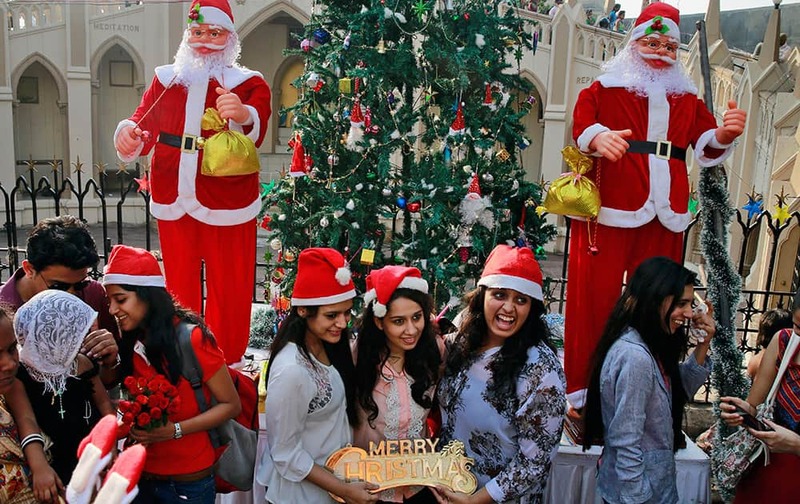 Although this was the traditional side, when it comes to the fun side, Christmas themes parties are hosted in almost all the clubs in Mumbai. And as we all know, Mumbai is a place that can savour to your palette no matter what kind of person you are. With the ideal fusion of the beauty of Christmas and French tradition, Pondicherry is no less than a paradise during the season of Christmas. 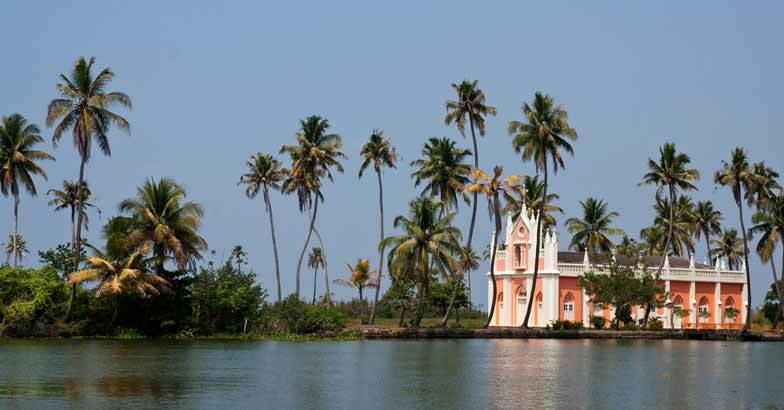 Clean and serene beaches, spectacularly built churches and impeccable glances of French culture, altogether help Pondicherry to be in top charts when we talk about the places to visit during Christmas in India. 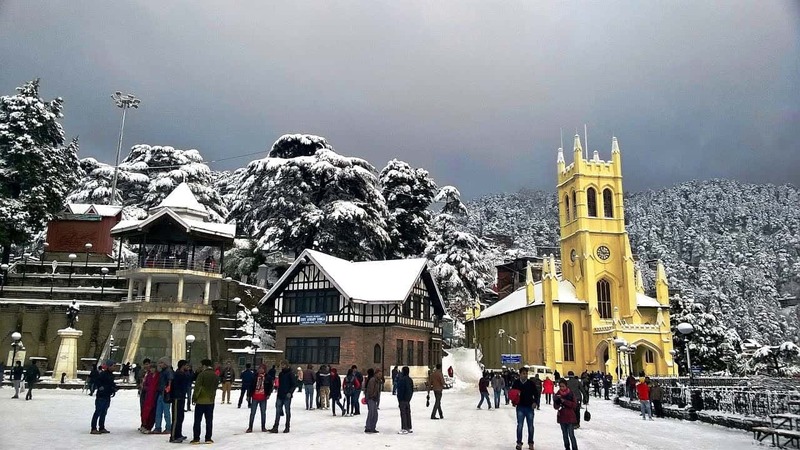 The oozing storybook attraction – Shimla will tick all of the packing boxes of Christmas in addition to honeymoon vacations also. Shimla has a great Christian population that celebrates a joyous Christmas. Considering there aren’t many vacationers discovered presently, the hills provide a non-violent but fun Christmas. The streets, houses and churches are decorated with shimmering lighting; people prepare conventional cuisine and spend time signing carols and hymns in the nighttime. Some of the churches additionally have local bands gambling gospel music. Now you may apprehend the anticipation of holidaying in Shimla on your CHRISTMAS vacations. Tip: We’ve were given a few first-rate cool deals on Christmas getaway that you’ll honestly want to nail. Leap on our internet site to get the Shimla excursion package. I ask you, what could be better than celebrating Christmas in a heavenly place for honeymooners? 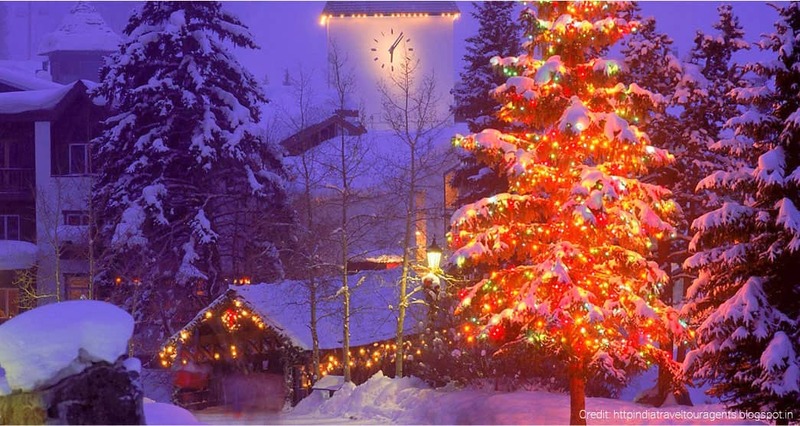 To make your Xmas better and grand, the honeymooners’ paradise – Manali will spark the hunt for Christmas getaway even more than any other state does. 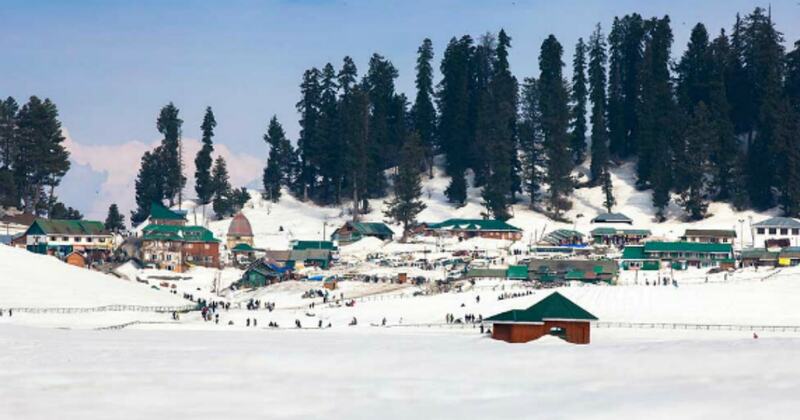 Manali promises to make your cheery holiday ah-mazing! 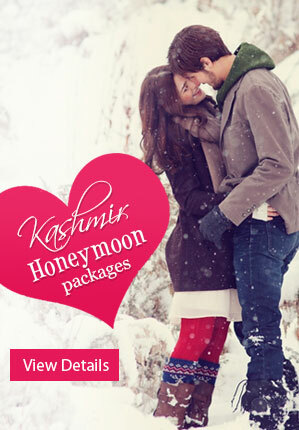 Since it’s gonna be a long weekend – pack your bags and book your Manali tour package with Honeymoon Bug because we understand your need for a perfect Christmas getaway better our competitors. Christmas and snow are superbly intertwined, improving the spirit of the competition. There can in all likelihood be no words to exaggerate the splendour of the hill station all through Christmas. The distinct pine timbers, comparable to a Christmas tree, are fantastically embellished in snow, lights and add-ons, which is a sight to behold in the course of the night. Amidst hills and a serene landscape, get ready to discover the stunning region called Lansdowne positioned in Garhwal wherein you can have a good time Christmas at peace in St Mary’s church. The strong point of this church is its primary vicinity. You could visit Darban Singh Regimental museum, Bhulla Tal Lake, Garhwal war memorial and take a few breathtaking photographs. With our tempting Uttarakhand tour package, you can enjoy your Christmas Eve with the special traditional Christmas Bubbly Dinner with piped music, non-alcoholic cocktails, house wines and unlimited soft beverages! How amazing is that? You know Banglore for its IT Hub, but there is a more about this lively state you need to catch. Make a plan to visit Bangalore and don’t miss to hop to St Francis Xavier’s Cathedral where you’ll find the shimmering lightning with rich culinary delights that is seriously lip-smacking to taste. Tip: Don’t forget to satiate your food cravings for plum cakes, rum soaked cakes and turkey dinner. We bet you’ll have the perfect Christmas getaway feel if you try to choose to eat these things. Searching out someplace warmer amassing to celebrate Christmas weekend together with your buddies? Set your points of interest in this North-East Capital. Shillong is absolutely one of the most stunning hilly areas inside the North-eastern a part of the country and considering no longer many humans go to the region all through December; it is able to be a perfect vacation spot on your bucket listing for a Christmas birthday party experience that is exhilarating yet peaceful. With a big population of Catholics, the Christmas celebration is a month-lengthy affair here. The streets and churches are adorned with scintillating lighting fixtures; humans prepare conventional delicacies and participate in nighttime mass, singing carols and hymns to joyfully rejoice the birth of Lord Jesus. Recommendation: It’s only a bit greater under the traveller radar than the opposite destinations on our list; however, it will truly make your Christmas party unforgettable- perhaps you’ll nonetheless be thinking about it the 12 months after! Do I want to say why you have to go to Udaipur for Christmas weekend? Ok! I will. But allow me first ask you, why and who wouldn’t need to re-ignite the flames of romance within the shimmering Lake metropolis? 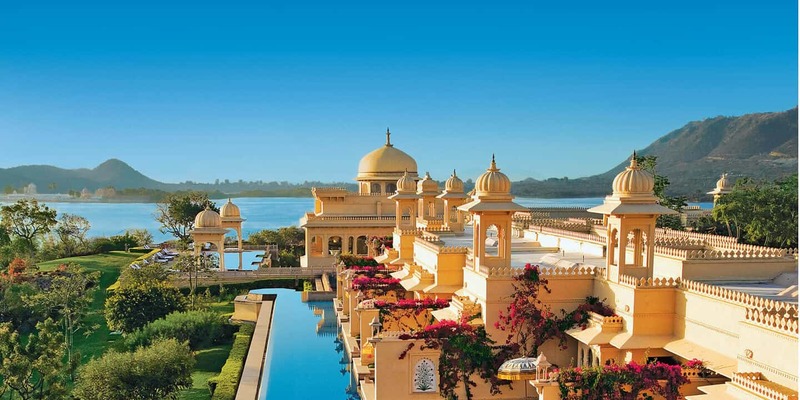 Who wouldn’t need to bask in the romantic air of Udaipur? No person! With the Aravali Hills encircling it, Udaipur can be your ideal call wherein you could loosen up, renew and refresh your mind across the simmering Pichola Lake, Kumbhalgarh citadel. Thinking more reasons to make Udaipur your Christmas getaway? You better study on! With Bollywood turning the spotlight on this city of lakes, it will become tough not to pay a go to confront the magic of the metropolis along with your very own eyes in this Christmas. While you input here, get ready to include the royalty that the metropolis has been blessed with. If you need to get excellent of Rajasthan, actually, mark Jaipur on your Christmas itinerary. This capital metropolis of Rajasthan is awash with all of the vibrant colours, flavours, histories and exquisite area to cover for your Christmas weekend. From Johri Baazar to Hawa Mahal to Nahargarh citadel and Jal Mahal, excursion the conventional Jaipur with Honeymoon malicious program and get first rated deals for your Rajasthan tour package. In the nation of Maharashtra, wherein one is generally lured to Mumbai, Pune or Lonavala. They often pass over visiting a city as peaceful and heavenly as Igatpuri. Situated in the district of Nasik, this place is surrounded with the aid of the Western Ghats and might be your ideal name for the unlaid Christmas getaway with your gangs of the wanderer. A top-notch vicinity for hikers and trekkers because the Western Ghats is the best height in Sahyadri. The calm surrounding and the tender breeze is the pleasant you can treat yourself with all through a vacation. If your soul truly cries out for the tranquillity of nature, a peaceful oasis that’ll help us rejuvenate, Hampi could be your ideal call for this Christmas weekend. Formerly one of the most crucial and prosperous towns of the arena, now it’s far a rustic south Indian vacationer enchantment. A UNESCO world historical site, it’s far rich with the way of life and precise structure. The extremely good sun Chariot at Hampi may be very famous among vacationers looking for ancient sights. It isn’t always merely a tourist appeal, however, an ancient record in stones. All of us recognise the area as ‘Heaven on earth.’ but is that this enough? Do not you’ve got a choice to experience the colours of heaven? What will be greater than witnessing the surreal splendour of Srinagar on this Christmas weekend? If you want to explore the place, then why postpone the plan? There may be no higher time to visit Kashmir while you are nonetheless to your Twenties. The charismatic appeal of the copious lakes and gardens is something you need to not be scared to enjoy. Being less than a month away, Christmas is already getting into our nerves, with the decorated churches, decorated malls, and Santa caps at the shops. So what is stopping you? Hurry up and head out to these places as we all know Christmas won’t last all year!